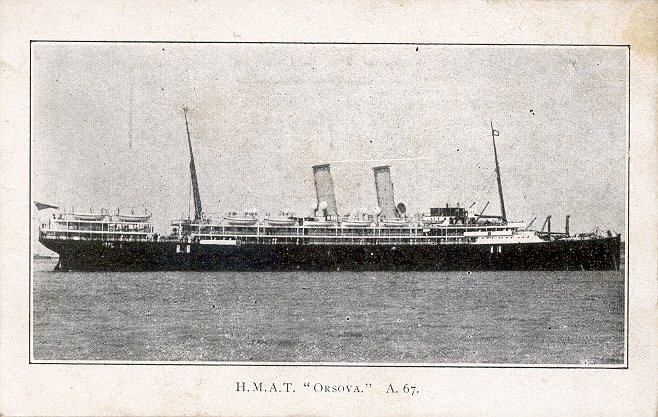 Orient Line's Orsova was built by John Brown & Co., of Glasgow. Launched in 1908, she made her maiden voyage from London to Melbourne, Sydney and Brisbane, via Suez, on 25 June 1909. She was converted into a troop transport in 1915. In 1917, while still serving as a trooper, she was torpedoed and badly damaged near Eddystone, with six deaths. She was beached and repaired, survived the War, and re-entered Orient Line's Australian service in 1919. 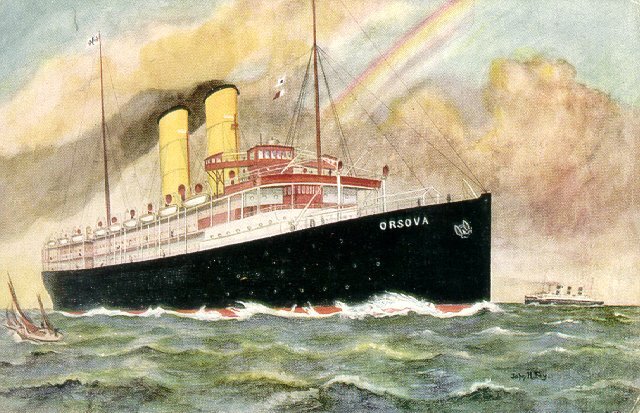 Orsova was scrapped in 1936. Sources: Haws' Merchant Fleets in Profile; Kludas' Great Passenger Ships of the World.